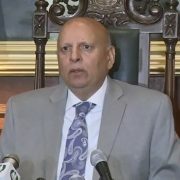 PESHAWAR (92 News) – Chief Minister Khyber Pakhtunkhwa Pervaiz Khattak decided to constitute a Judicial Commission to probe alleged rigging in local government elections. Pervaiz Khattak constituted a committee headed by the Chief Secretary to probe into the alleged rigging and identify the government officials involved in irregularities. 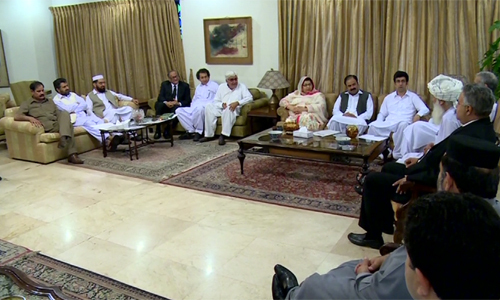 Khattak also constituted a four-member team to talk to the opposition parties. The team has started contacting opposition parties. PTI’s Provincial Information Minister Mushtaq Ghani was seen advising opposition parties not to take matters to the streets. Jamaat-e-Islami also decided to participate in the APC at the eleventh hour. Meanwhile, the opposition parties rejected the All Parties Conference (APC) called by the provincial government. As a result, the APC proved to be a gathering of the government allied parties.